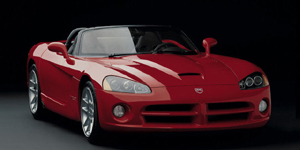 The Dodge Viper is an uncompromised sportscar. Powered by a giant V10, the Viper is loud and massive, its suspension rock hard. The Viper is not very refined, but all the more involving. 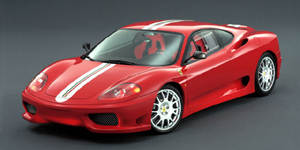 Powered by a 3.6l V8, the Ferrari 360 Modena is the best entry-model Ferrari has ever produced. The 360 handles weel, is well built, and looks simply stunning. 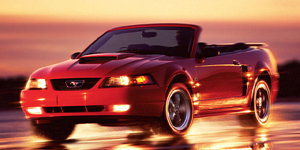 Powered by a choice of strong V6 and V8 engines driving the rear wheels, the Ford Mustang offers lots of straight-line performance for a low price and even handles quite well. The Porsche 911 is one of the truly great sports cars available. Powered by the classic flat-6, it comes with optional AWD and features a host of variants.